2017 is coming to a close, and I made a lot of great dishes this year! 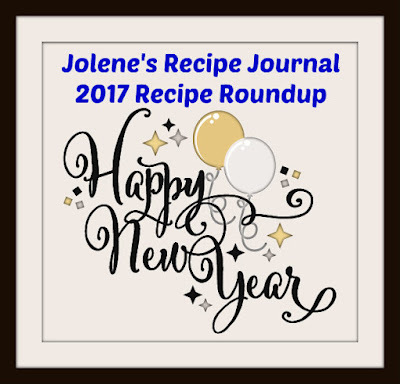 My annual goal is 52 new recipes tried, and this year I made 83! Not all of them have made it here to the blog yet, but here's a recap of the ones that did. Thanks so much to everyone for their continued support. Your comments make my day. Happy New Year, wishing you prosperity, health and joy for 2018! Top 10 Posts of 2017!! I have a huge upright freezer that I vowed to use better in 2017. I prepped a lot of recipes back in August, and I have been working through them over the last few months. I first made this back when I could get to my grill outside, and the guys devoured it before I could even reach for the camera. Now, the grill is buried under a few inches of snow and ice, so I prepared this batch on an indoor grill. Not as pretty to photograph, but still tastes amazing! It's #NationalCupcakeDay! We are big fans of cupcakes here, especially around the holidays. There are so many flavors to choose from! I saw these Yuletide Eggnog Cupcakes on the Taste of Home website, and I couldn't wait to try them. I made the cupcakes as written, but my guys don't like cream cheese frosting. So back I went to Taste of Home and found the Easy Vanilla Buttercream Frosting. I subbed in eggnog in place of the milk, and it turned out perfectly. If you don't want a heavy frosting, you can thin it down with more eggnog and make it more of a glaze. How do you eat a cupcake? Just dive right in? Use a fork? I like to cut the bottom off, put it on top, sandwiching the frosting inside. :) Thanks so much to the Redhead Baker for hosting! Be sure to check out the other great cupcakes being shared today through the links at the bottom of the post. I hope you are enjoying #ChristmasCookies Week, I know I am! I've already changed my holiday baking list three times, and I'm sure I'll be adding to it again. These Chocolate Marshmallow Meltaways from Taste of Home have definitely been added to the list! 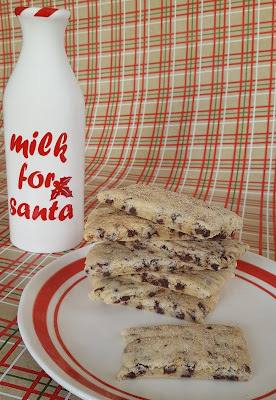 The only changes I made to the recipe was to use whole milk instead of 2%, it's what I have on hand, and garnished them with some holiday sprinkles. The base cookie isn't overly sweet, so it makes it perfect when you add the marshmallow and the frosting to it. Thank you so much to Joanna S. for sharing her recipe, these were like hot cocoa that you could eat! Thank you again to Ellen from Family Around the Table and Christie from A Kitchen Hoor's Adventures for all the hard work you've put into this! And don't forget, tomorrow's the last day to enter for your chance to win that amazing prize pack from Nielsen Massey! My guys could eat chocolate chip cookies every day, and I'm always looking for fun spins on them. 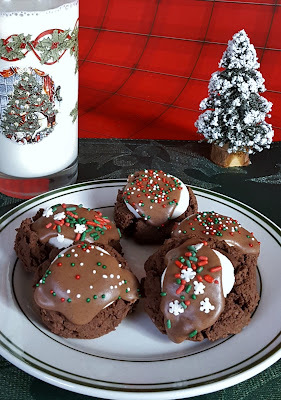 I found my second recipe for #ChristmasCookies week on the Taste of Home website. The cinnamon sugar on these really makes them different and fun. They have an amazing crisp/chewy texture that we loved. Thank you so much to Bonnie B. for sharing her recipe :) Her tip to use a pizza cutter to slice the cookies was brilliant! 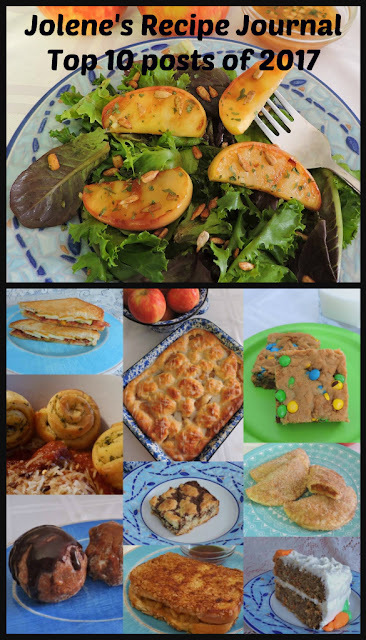 So many awesome recipes being shared this week, I don't even know which one to try first. I'm having a great time deciding though! Scroll down to check them all out, and don't forget to enter for your chance to win a prize package from Nielsen Massey!